Following up on last month’s positive post on area home sales, the December home sales figures released yesterday bring more good news. 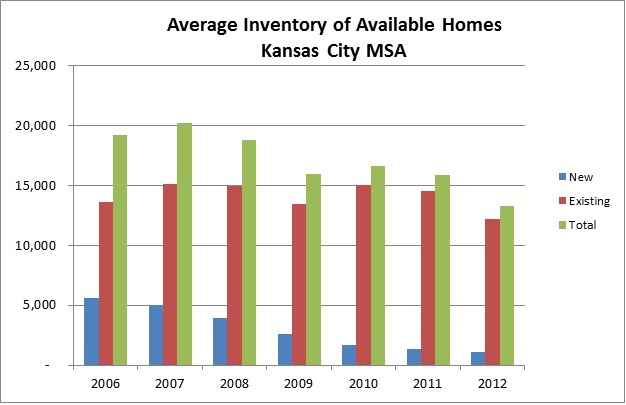 According to the Kansas City Regional Association of Realtors, 26,487 homes were sold in the region in 2012, the largest annual total since 2008. The average home sale price in December was $177,429, up from $140,464 one year earlier. For existing homes, the average sale price was $158, 418 (up from $137,052) and for new homes the average was $347,487 (up from $299,774). The slow recovery of the housing market has been well documented, but it looks as though this upswing is real. The most compelling evidence of this can be seen in the monthly inventory of homes available for sale. Back in 2006 and 2007, there were typically about 20,000 homes for sale (15,000 existing and 5,000 new). With the recession, the inventory of new homes declined quickly, but the number of existing homes for sale (shown in red) stayed fairly consistent before dropping in 2012. You’ll remember that one of the key issues that was dragging down the housing market and depressing home values was the large number of homes that hit the market as a result of foreclosures or homeowners who were unable to keep up with their mortgage payments. Having inventories drop to lower levels is a good sign that the bulk of the excess housing stock has worked its way through the market. Low inventories and increasing sales prices will help to restore home values and will help persuade builders to re-enter the housing market. In the months ahead, we could see a temporary spike in homes for sale. While the market has been depressed over the past few years, many secure homeowners who would have liked to have sold their homes stayed put, waiting for the value to increase. 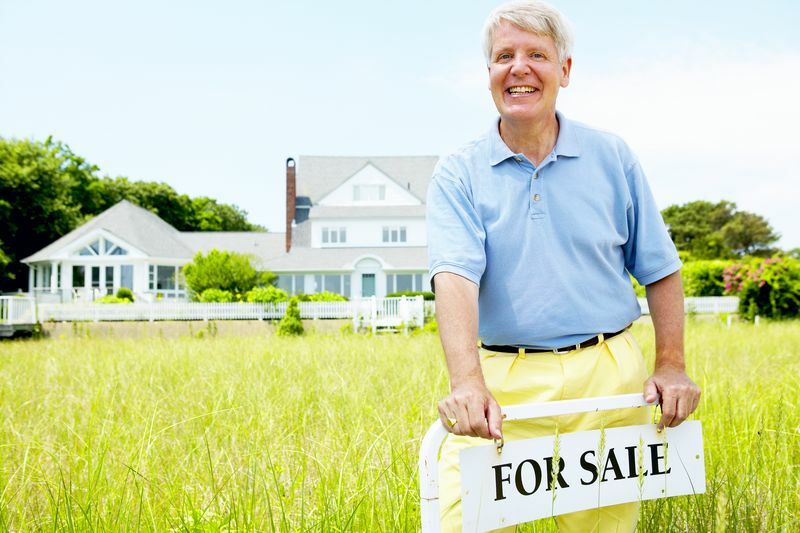 Now that the prices are rising, those homeowners who have been on the sidelines may try to sell. If this spike does occur, it would be temporary. It will be nice to see the market working naturally, with higher values causing more homes to hit the market. Just another sign that the economy is the strengthening as we head into 2013. ← Nursing Jobs. In Demand or Not?